Tenerife events Halloween for 2017 are over and Christmas concerts, crib exhibitions and Noche Blanco are on the general event agenda where Puerto Cruz is included. You will find its most important news right on top of the page. So you wont have to scroll. Where? At Rincon del Puerto 12, on the first floor. Santa Cruz Tenerife Zombi walk The Capital Santa Cruz de Tenerife is staging its first Zombi walk from the port area to Plaza Espana (Plaza de España) at November 03 at 7p.m. You have a chance to be made up for free with basics, unless you pay a little. Participants have to put their names down. First ever 2017 Tenerife events capital Halloween Festival. There, also encounter a link for a Tenerife Halloween cookie decoration party. 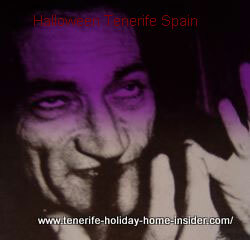 Of course, you may get ideas where to search for more on the Tenerife Halloween scene by scrolling down. Blanco bar is always a good tip every year. 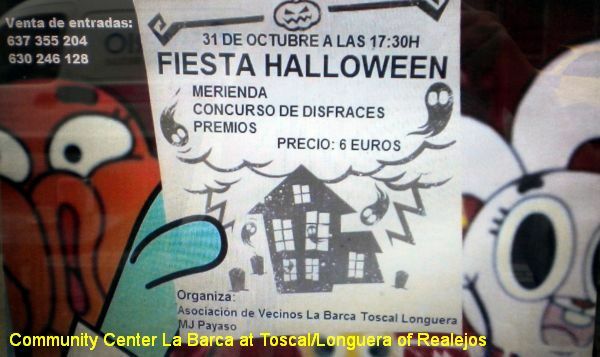 Halloween Toscal Longuera party for kids in 2015 with tea at 5.30.p.m.and prizes for best costumes at Community Center La Barca. Encounter both night clubs about two blocks i.e.100m up the road from Plaza del Charco the main town square of Puerto de la Cruz. Halloween festival by Hotel Panoramica Gardens Los Realejos replaced by a yearly live Rock festival lasting at least two days by the middle of October. A Halloween costume is no must for all Tenerife ghost and vampire celebrations, but will contribute to more fun. 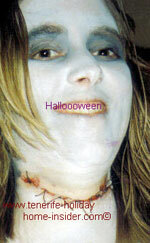 Check out this Halloween makeup depicted above, which is original... It was excellent, before the red paint on the neck which simulated blood stains, disappeared after much dancing and fun. 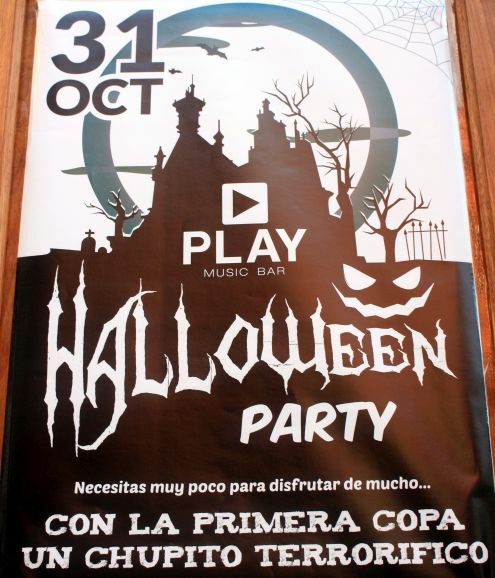 This is one of Tenerife events where the Halloween music was played in Puerto de la Cruz by 4 bands. 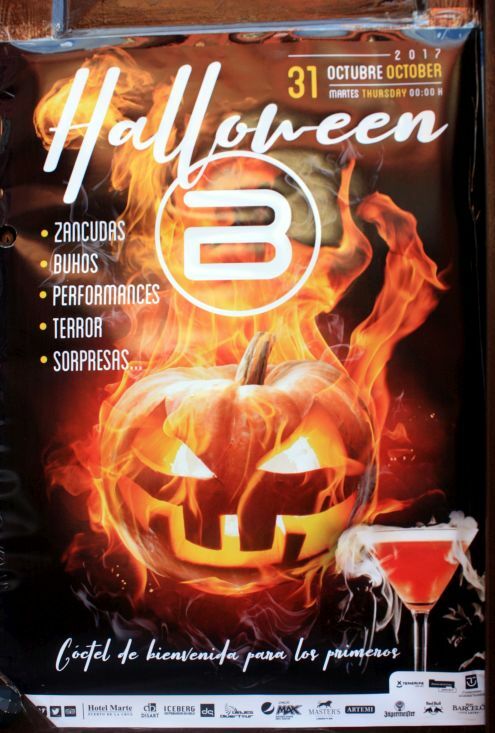 This Tenerife nightlife live concert which was a success played modern Halloween music besides rock. It all only started at midnight the hour of ghosts and vampires of Puerto Cruz of Tenerife. Halloween pumpkins at La Villa Alcampo with cut out templates are on sale, occasionally. About the ghost lantern made of fodder beet of old German traditions which wasn't only the Halloween pumpkin of Germany of long ago and celebrated on St.Martin day. There was your chance to organize your own midnight gloom merry go round. Pastries fit for parties of the scary underworld with the most spectacular vampire cake and recipes to make Dracula treats and shocking spider 'Tapas' to eat. No point to give you the link. Unfortunately, this offer hasn't been repeated so far. No problem. Those things are easily found in other locations in the Internet. Noches blancas white nights nocturnal events with next one in December, as opposed to the somber, black Halloween. 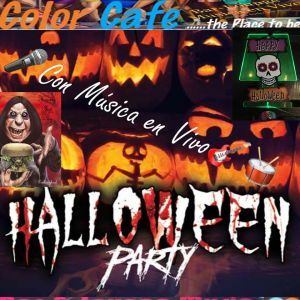 From Tenerife events Halloween back to Tenerife attractions.